Systems Planning and Analysis and Factom have entered into a partnership with the aim of developing blockchain-based platforms that would address the needs of U.S. federal government customers, including the Department of Defense. SPA said Tuesday it will provide expertise in the government sector while Factom delivers blockchain-based technologies. Matt Ives, the director of business operations at the SPA Surety Programs Group, and Paul Snow, Factom CEO, both expressed optimism for and enthusiasm over the opportunities that the partnership may bring about. 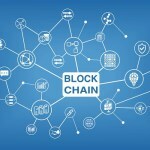 The announcement comes even as the Emerging Technologies Directorate at the Defense Information Systems Agency explores the possibility of implementing blockchain technology. DISA, however, has not committed to procuring any particular offering.